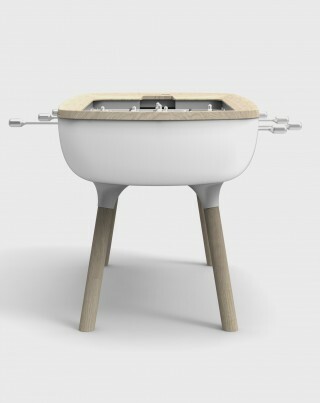 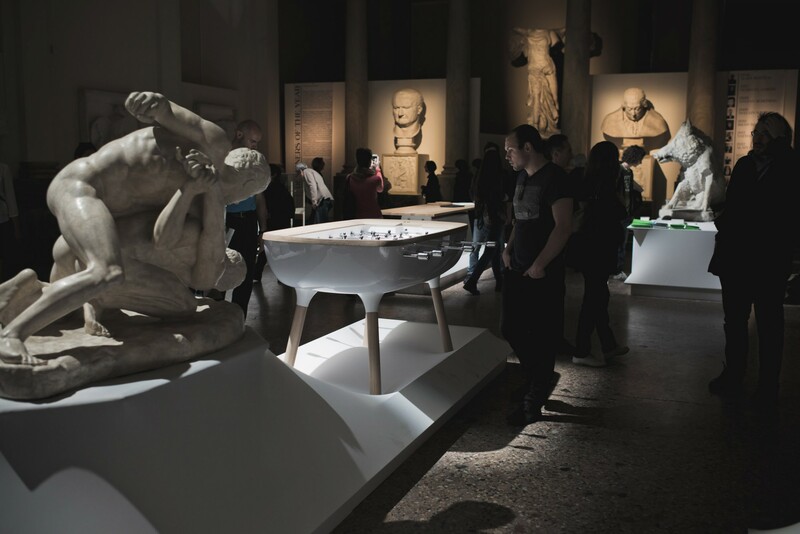 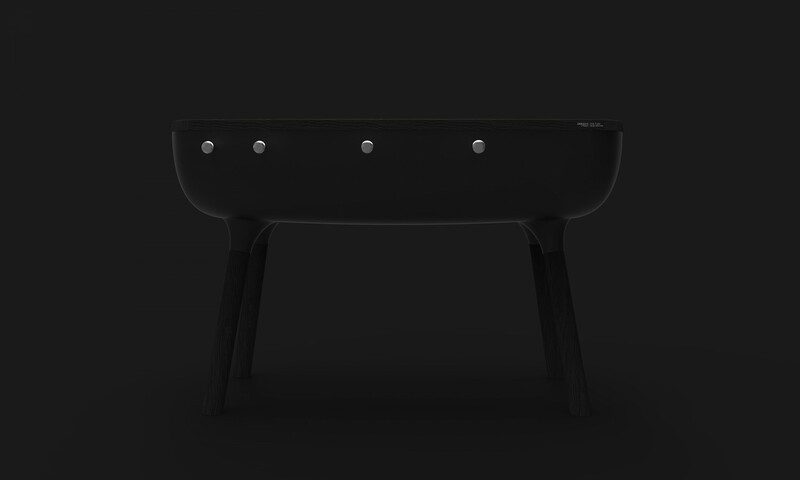 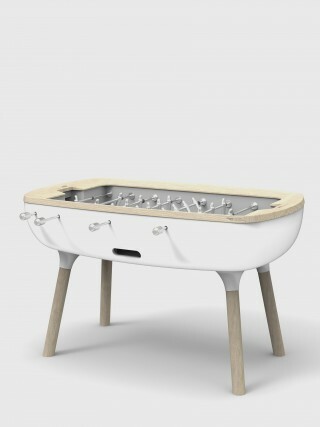 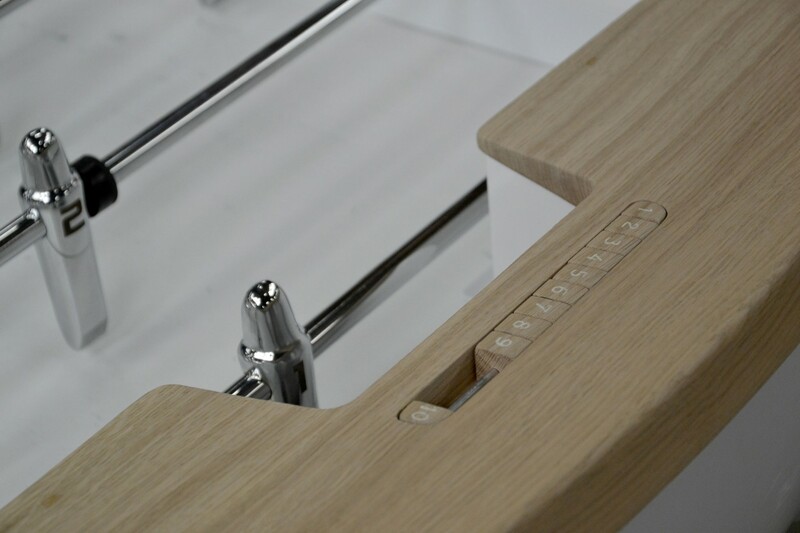 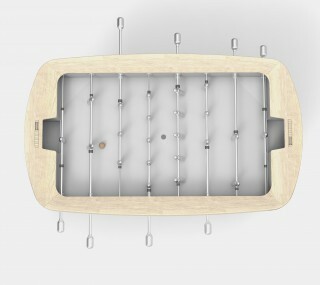 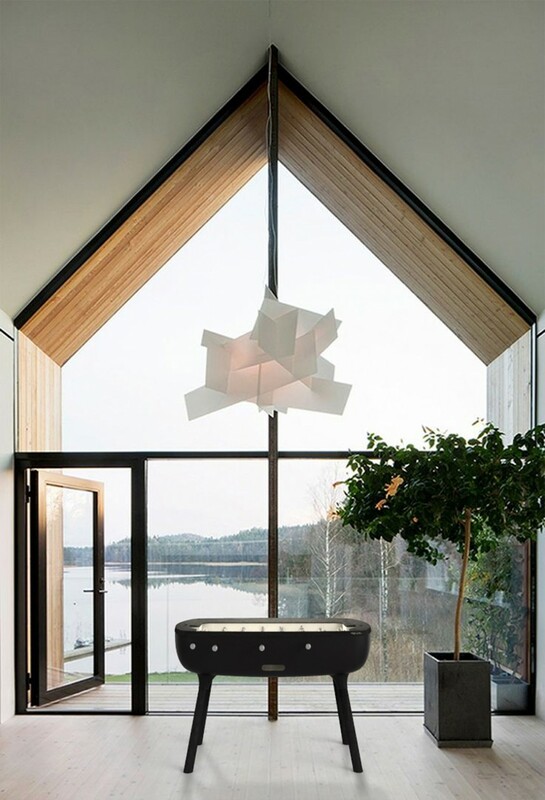 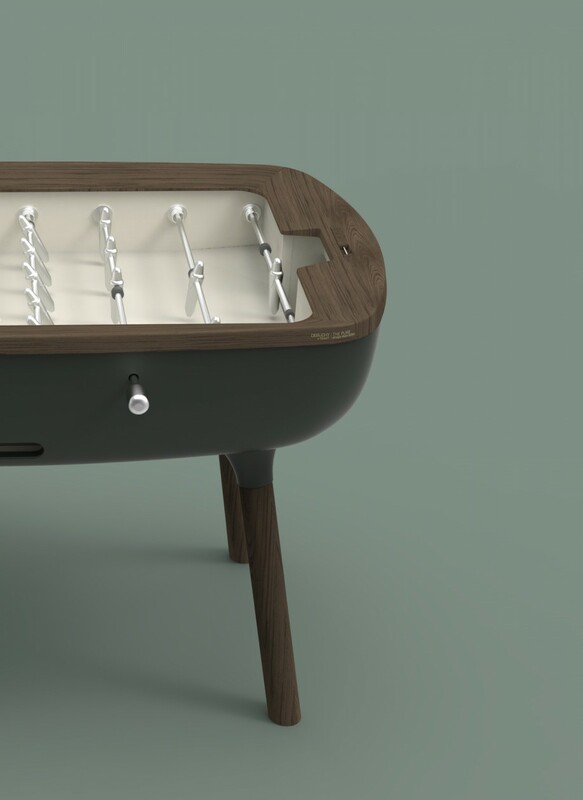 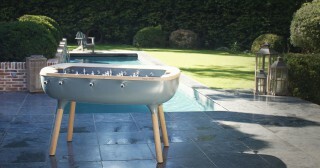 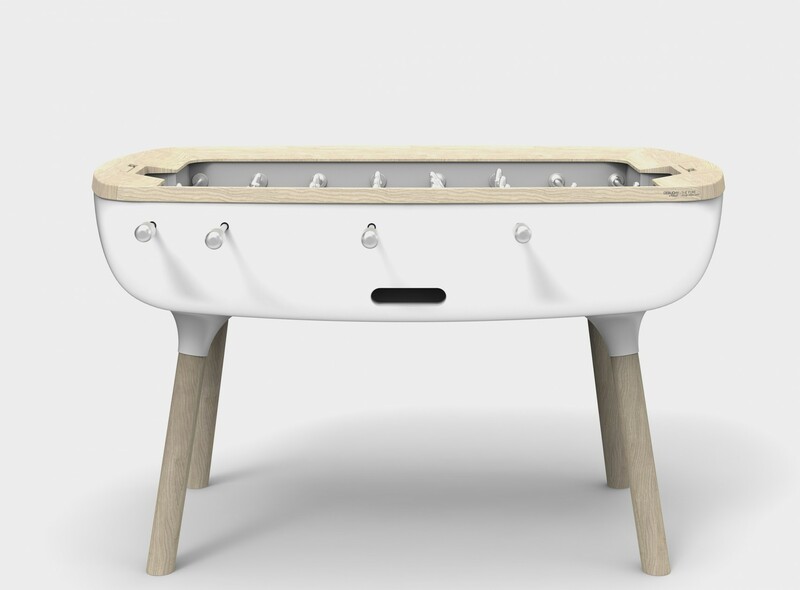 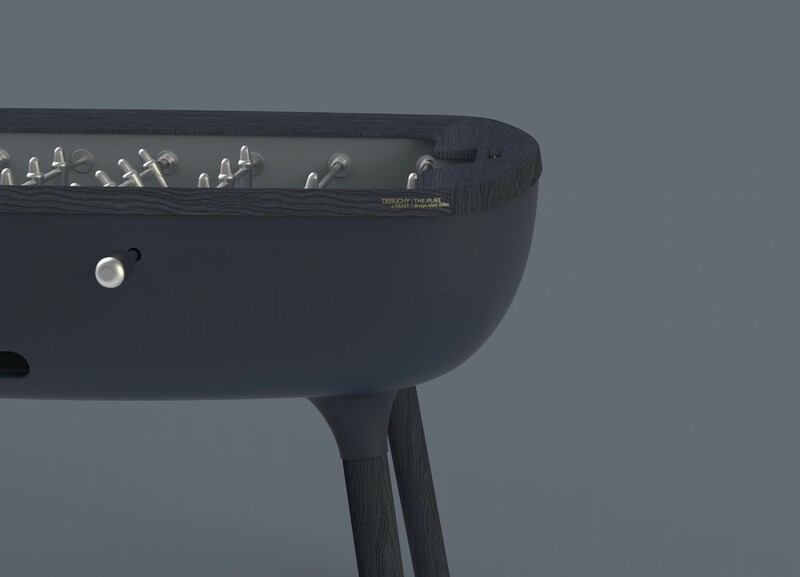 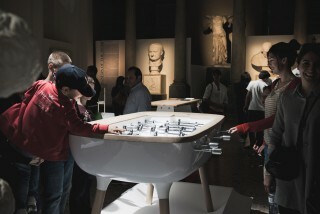 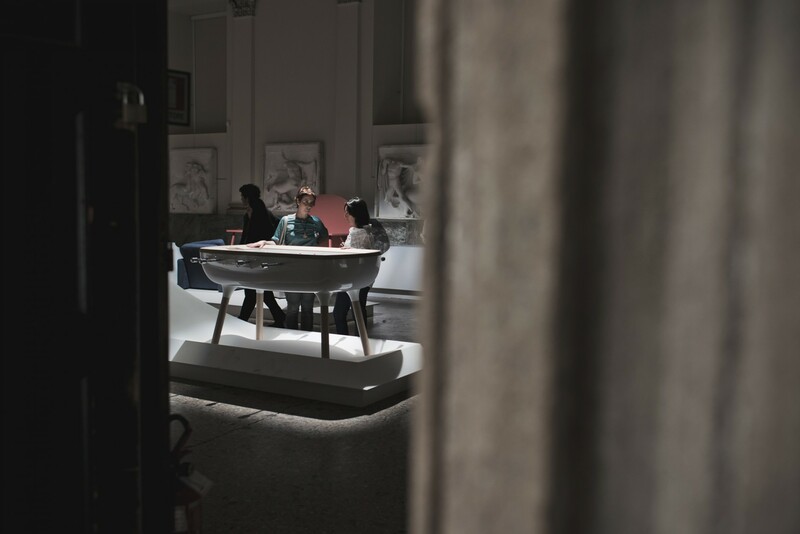 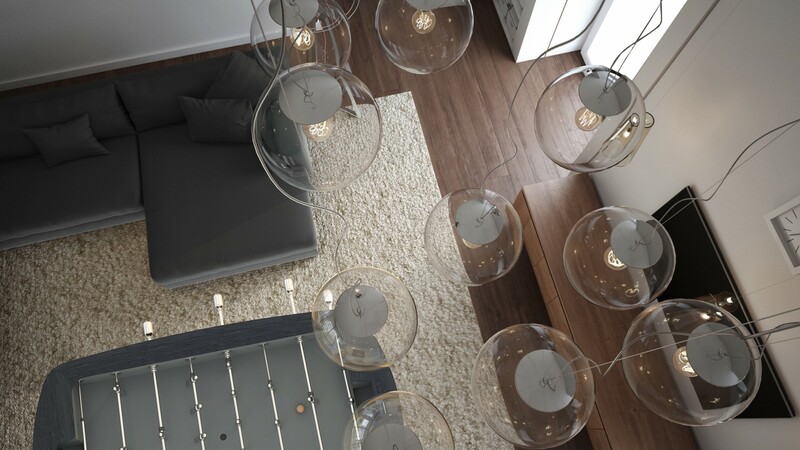 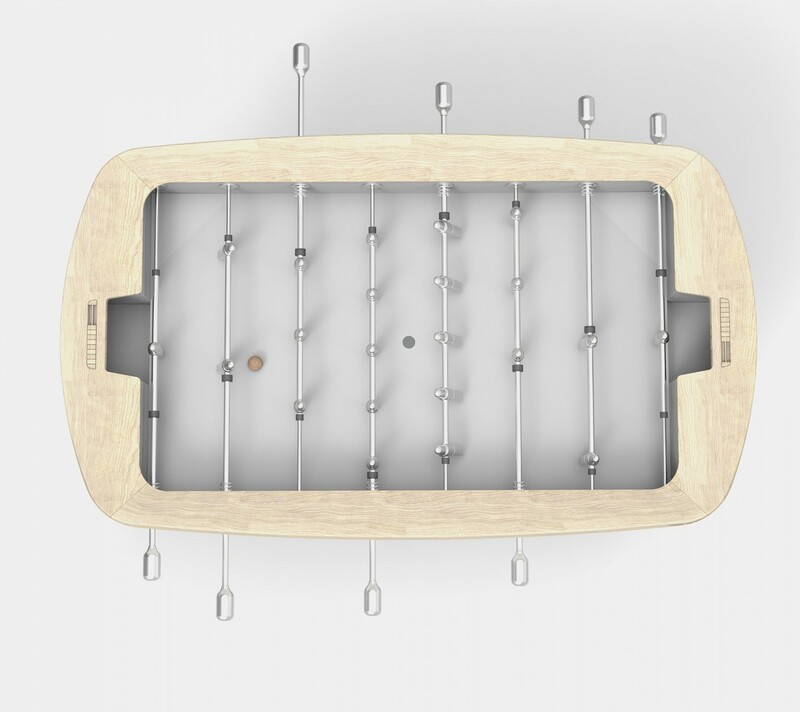 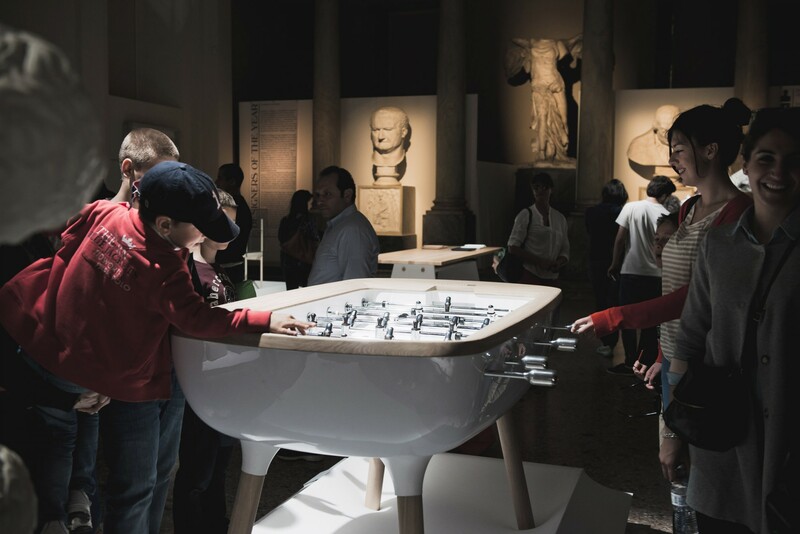 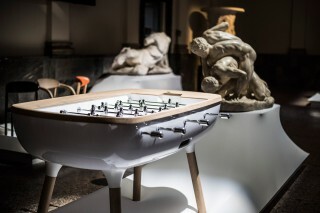 The Pure is the modern vision of a classic foosball table. 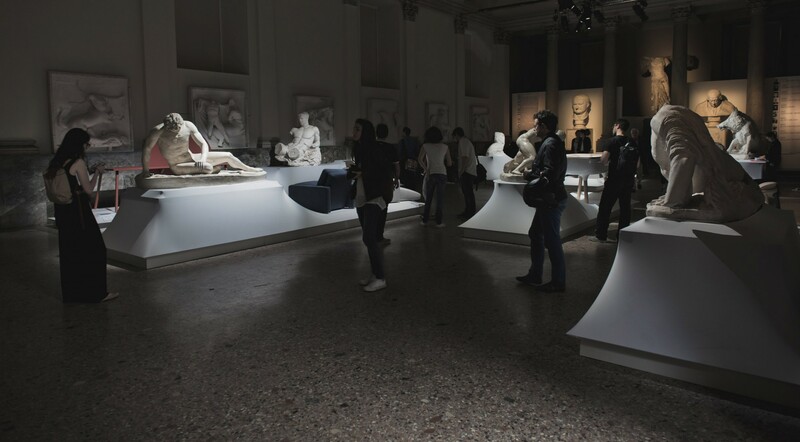 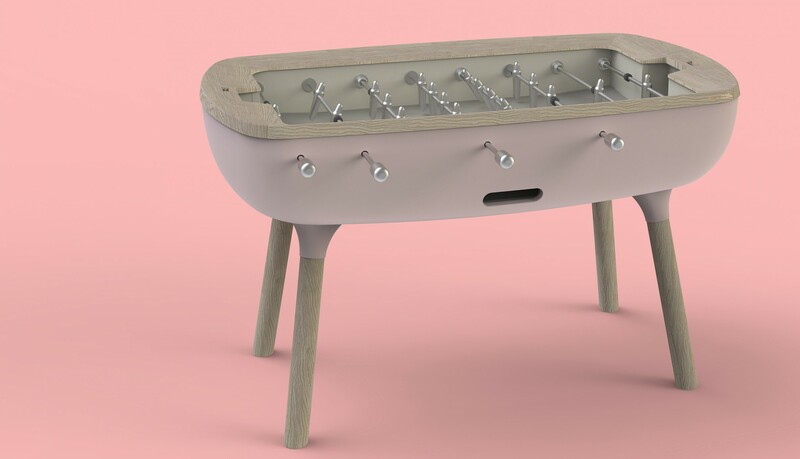 The rules, the game, and the fun remain the same, but it has now been transformed into an object that can be displayed in a living room or in the lobby of a contemporary hotel for instance. 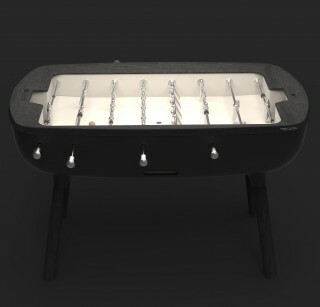 The foosball doesn’t have to be hidden in the basement anymore and it is no more just for gaming centers or coffee shops. 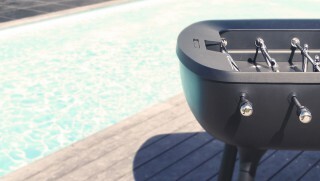 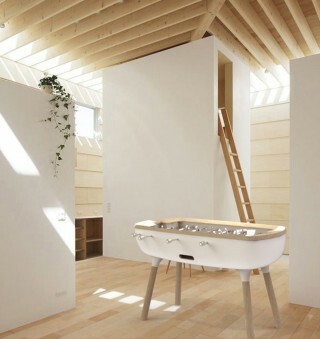 It has been designed in order to bring a sense of warmth for those moments of togetherness with the family. 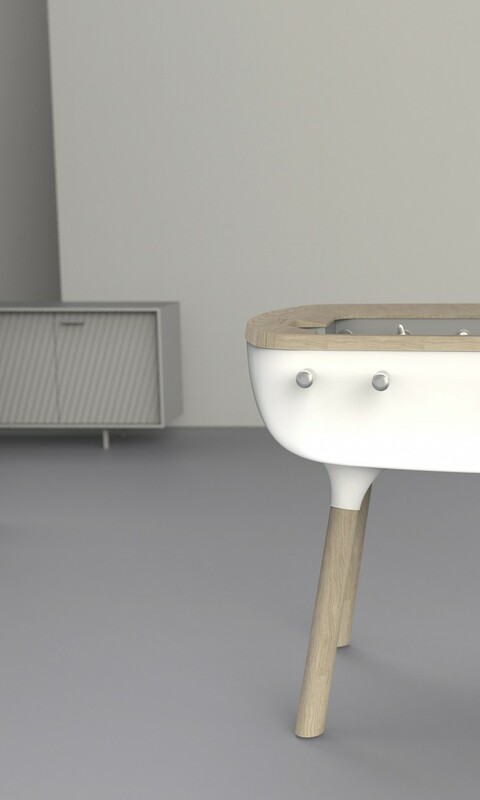 With the strong use of wooden elements, and quiet presence, and a reference to Nordic design it aims to be a somewhat timeless modern piece. 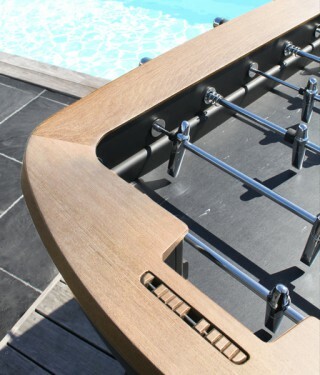 From the top, its shape refers to modern football stadiums ( soccer stadiums ). 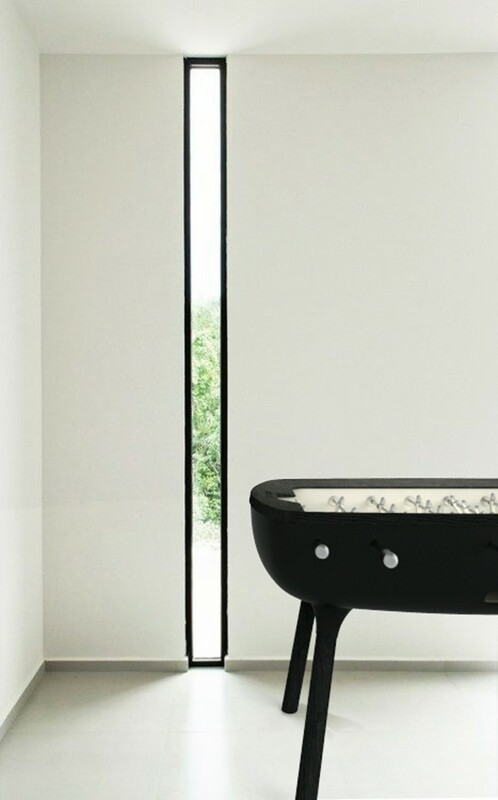 But it has also been designed in order to have a soft feminine touch and a minimal presence to make it more acceptable to women, and thus in the end acceptable in a house. 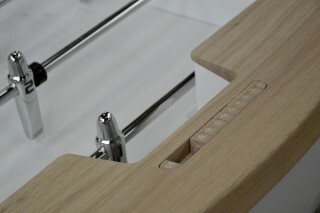 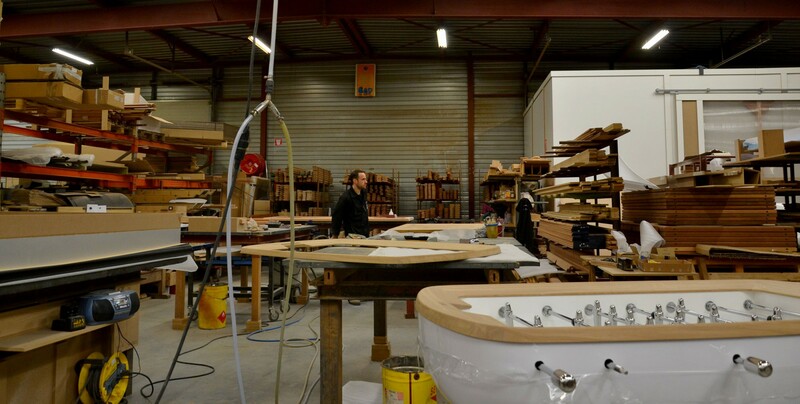 It is available in a wide array of wood finishes and colors. 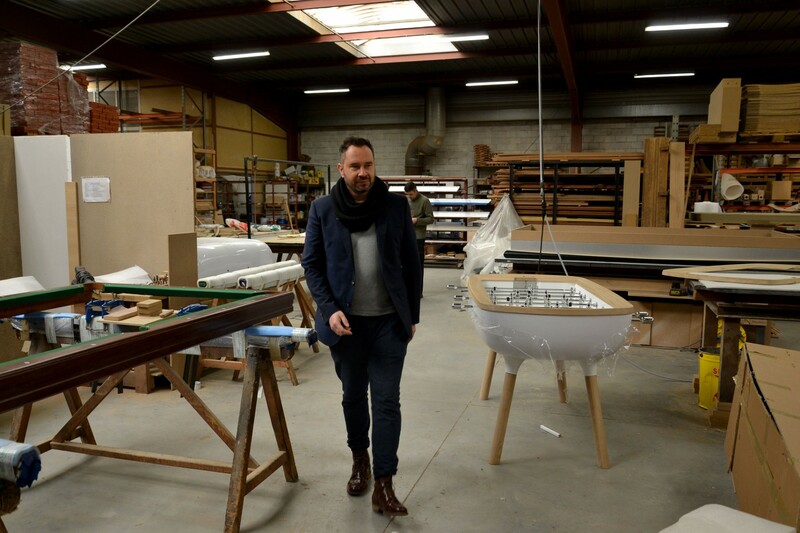 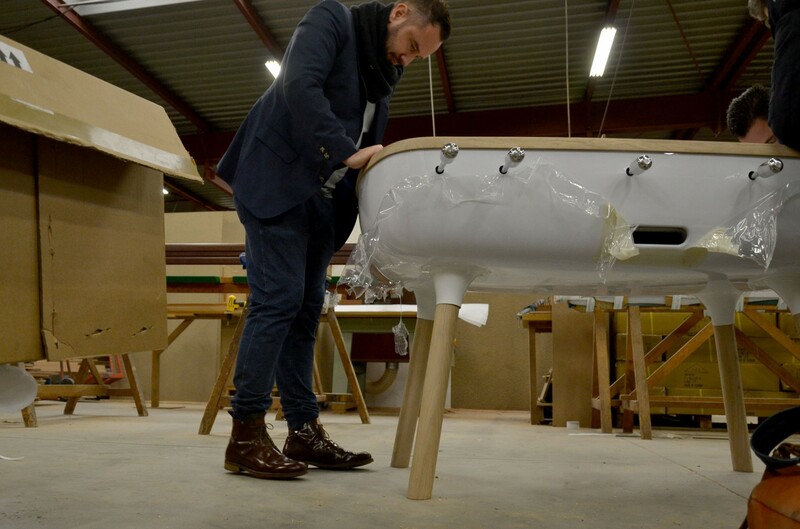 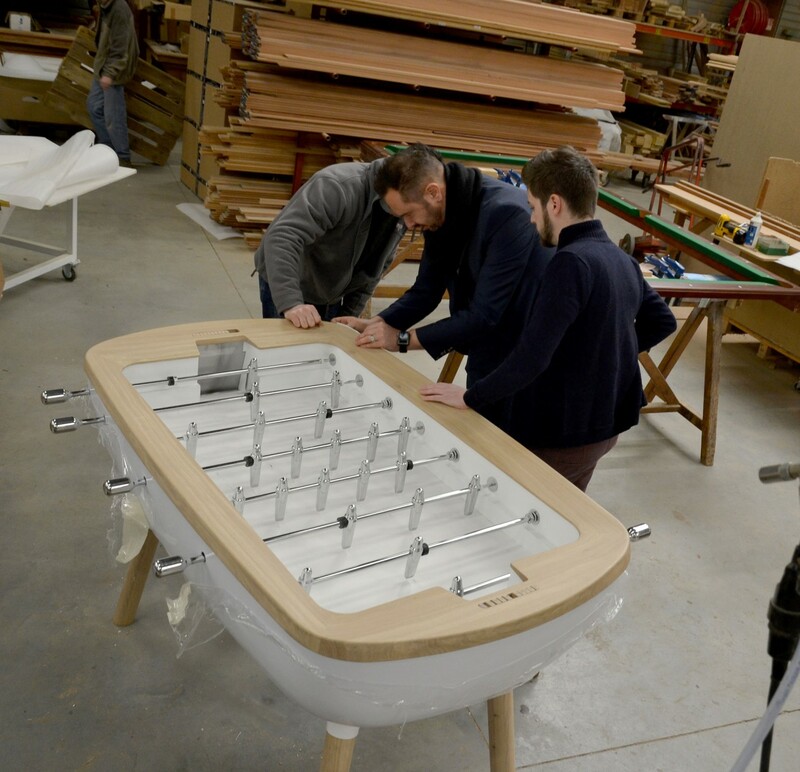 About the company: “Debuchy by Toulet” is a new brand that was created jointly by the renowned French football (soccer) player Mathieu Debuchy ( currently playing for Arsenal in the UK, and part of the French national team since 2011 ), and by Toulet a French producer of high-end pool table since 1857 in order to create alternatives to traditional foosball tables. Materials Wooden structure, massive oak wood for the legs and top, PMMA shell, players and bars in chromed aluminum. 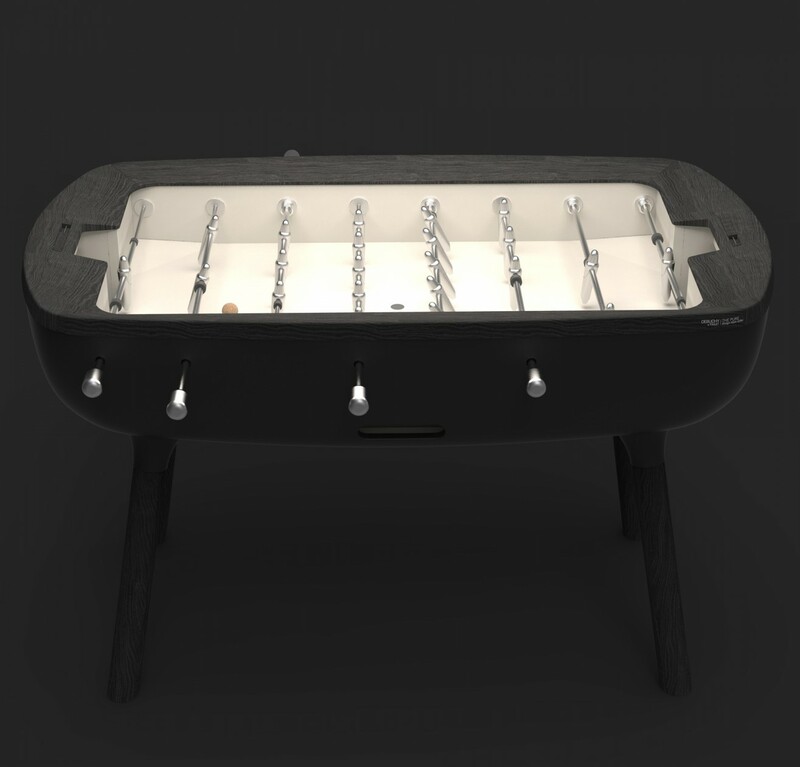 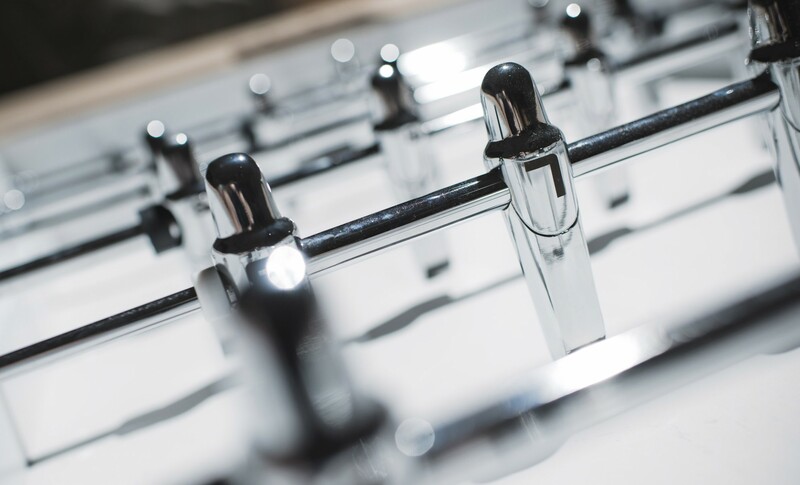 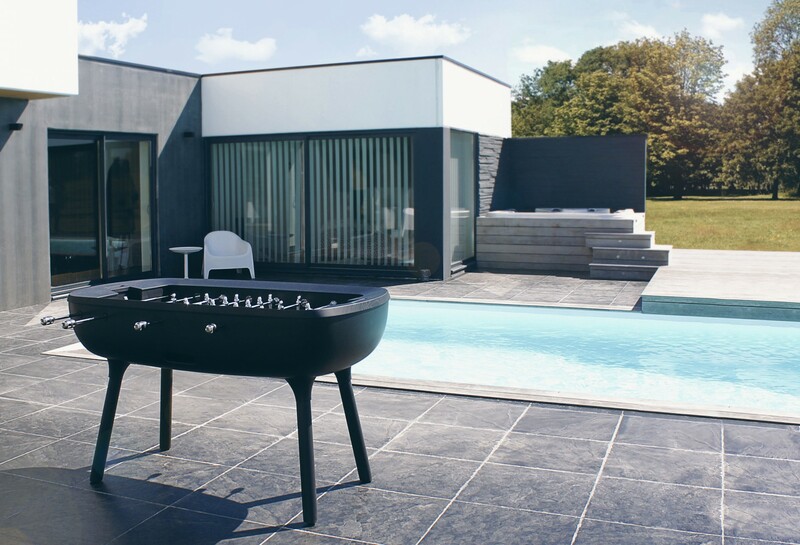 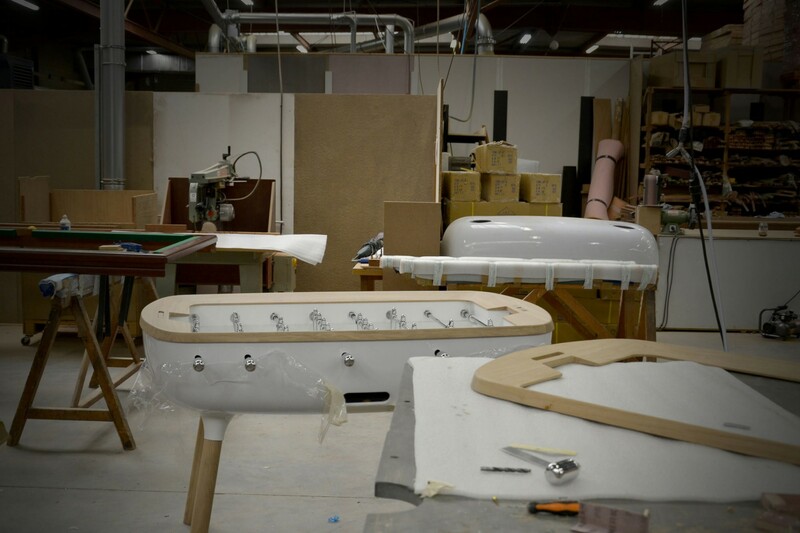 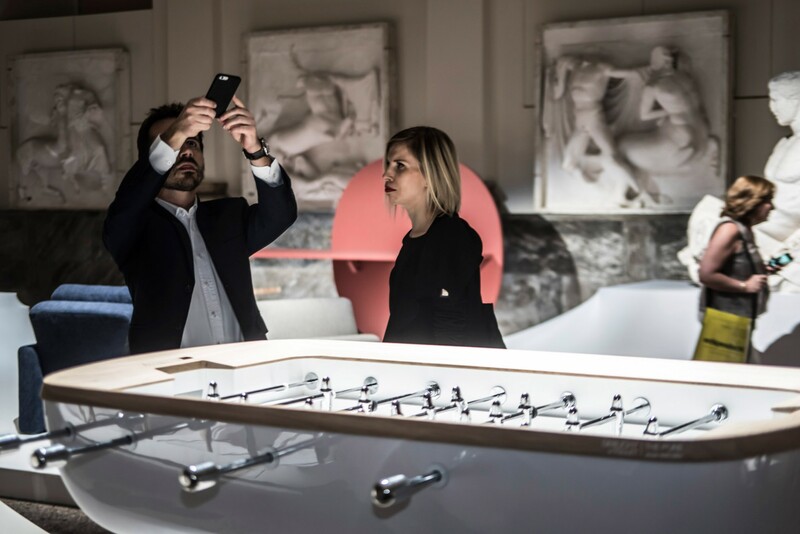 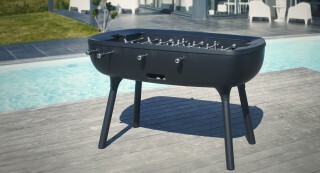 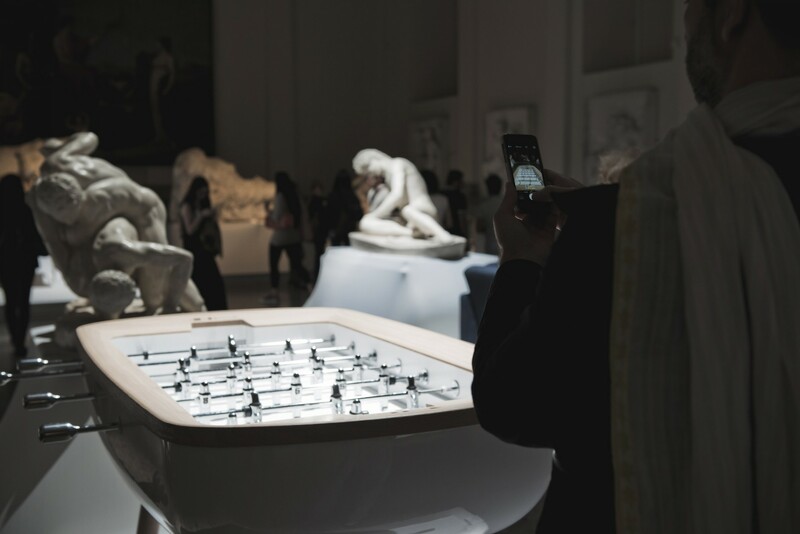 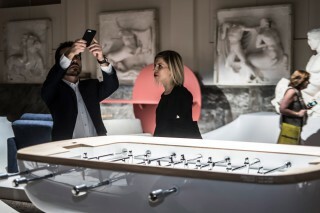 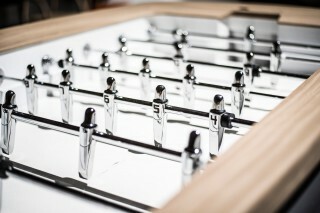 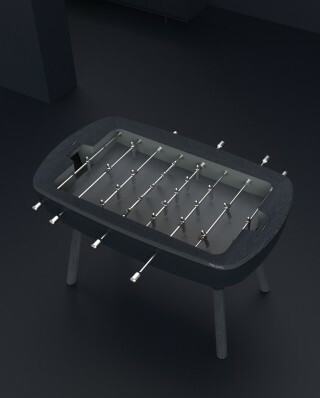 the modern high-end vision of a foosball table. 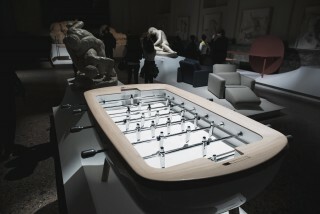 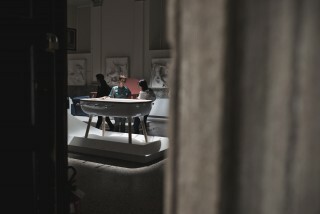 it is now an object that can be displayed in a living room or in the lobby of a contemporary hotel for instance. 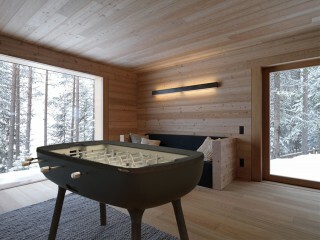 warm, simplified and purer ! 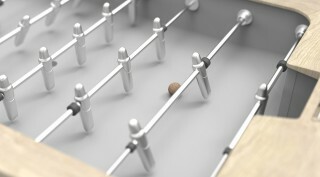 the rules, the game, and the fun remain the same. 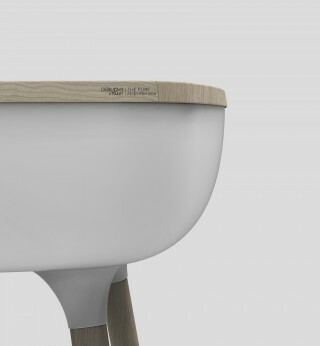 close attention has been paid to the details. designed to be acceptable to women ! like a modern football stadium ( soccer ). 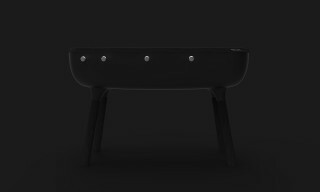 available in a wide array of different finishes. softer lines and a non-intrusive and more natural feel. 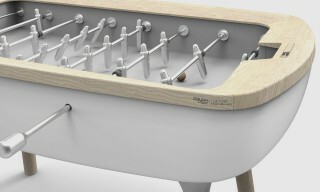 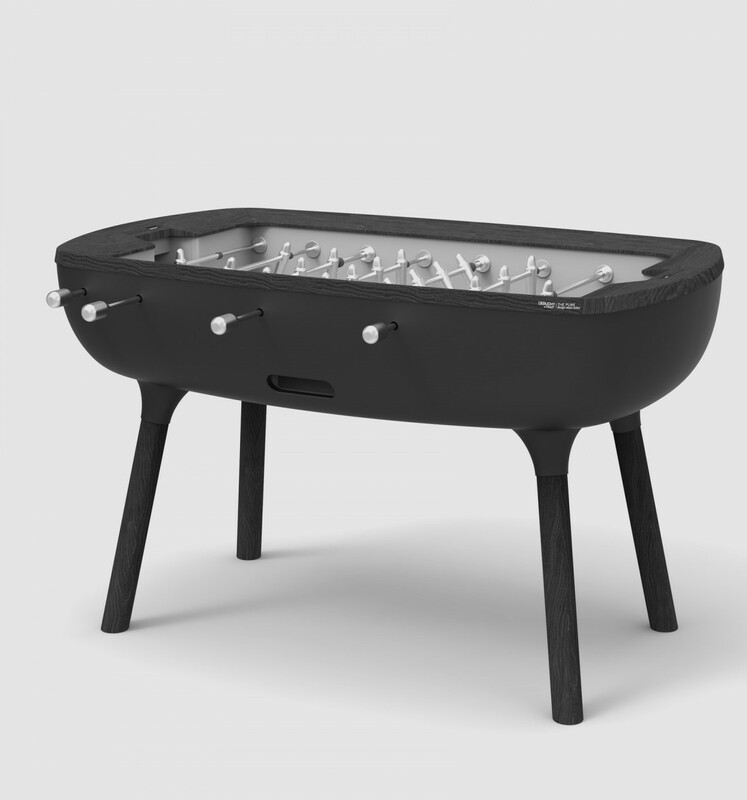 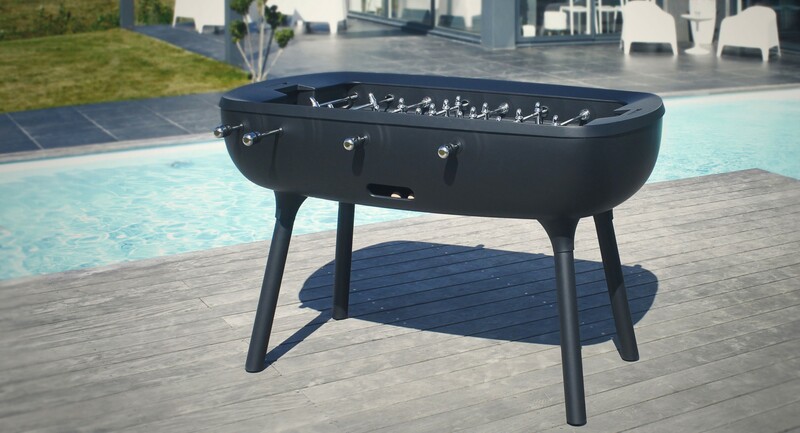 a foosball table that doesn't have to be hidden in a dedicated room anymore ! at home in any environment.